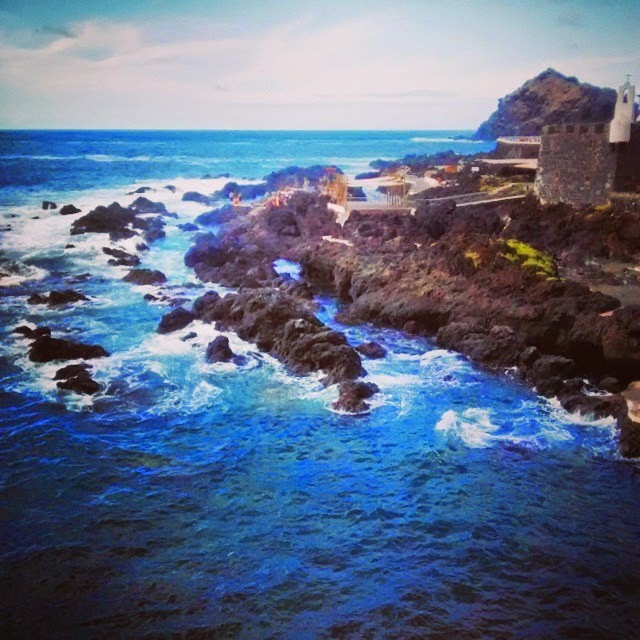 Garachico is a lovely harbour town on the northwest coast of Tenerife. We drove there one afternoon to visit it. We parked our car at the sea front and munching on a piece of freebie churro sticks we got at a bar we started to take a stroll around what known as the island’s least spoilt coastal line. Looking around the grand town houses with the typical carved wooden balconies and the cute little fishermen’s cottages perched on a cliff you wouldn’t have a clue of the town’s past. 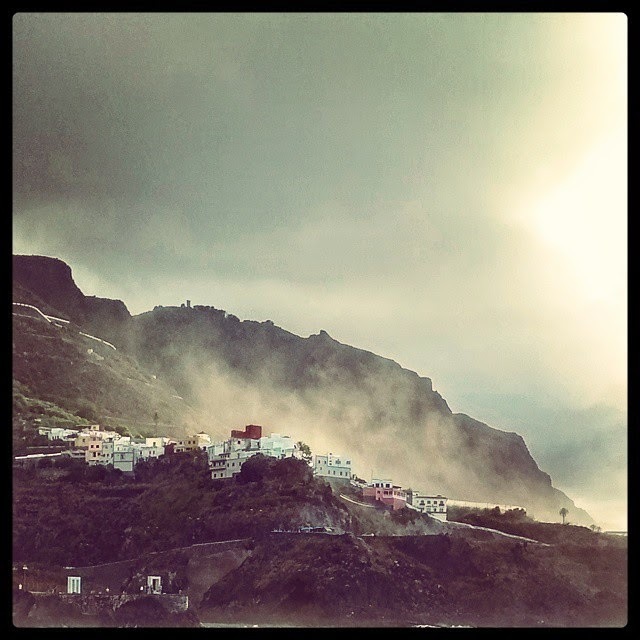 Garachico is known as the unluckiest place on Earth and it has quite a history when it comes to natural disasters. Plague, storms, fires, floods, you name it, it was all present at some point here. Still, the people of the town didn’t give up and persevered against all odds. Up to the point when at the beginning 18th century a volcano erupted and sent a huge amount of molten lava to cover Garachico and its harbour destroying its source of trade. If you look behind the town you can still see the two solidified lava rivers. Garachico however wasn’t destroyed, shaked itself off and started it all again taking advantage of the disaster. 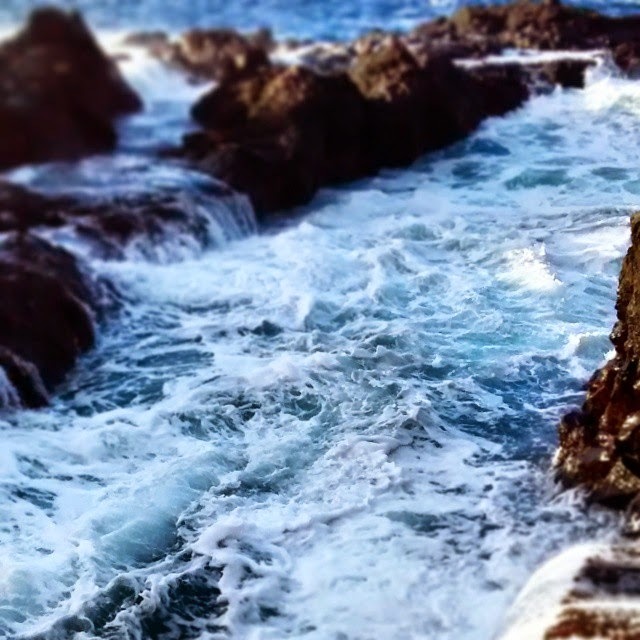 The solidified lava that filled the harbour made many small natural lava pools which are protected from the ocean. 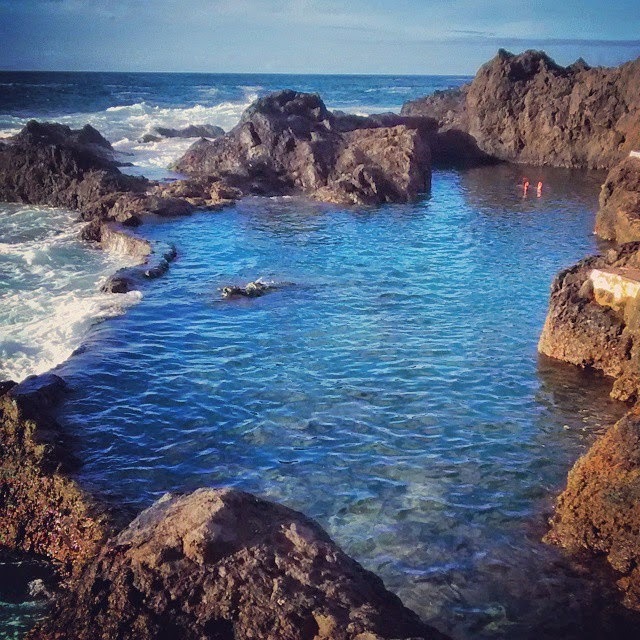 By laying a path here, carving a few steps there and planting some flowers in the lava holes these rock pools have been converted into swimming pools and even though there is no sandy beach around to speak of Garachico has turned itself into a favoured bathing spot. If you happen to find the water of the Atlantic a wee bit cold, there’s a fair sized municipal swimming pool right next to it complete with a paddling pool for the smallest ones of the sun admirers. If you can pull yourself away from the natural pools have a wonder around. 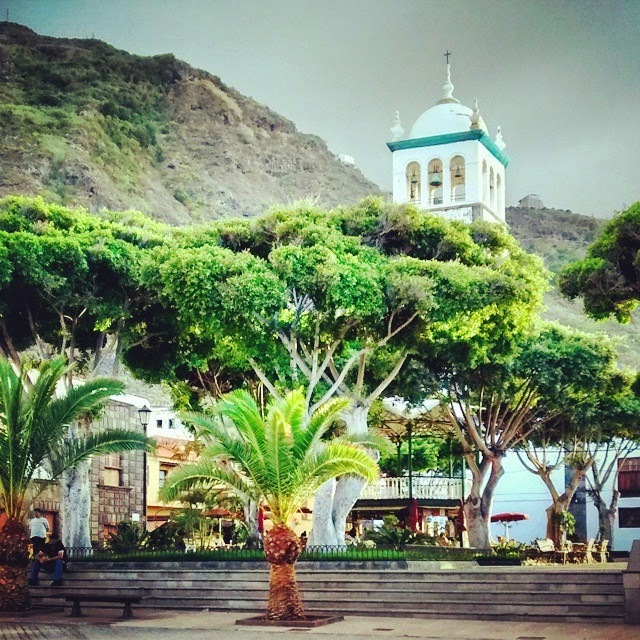 Garachico boasts with one of the nicest, most picturesque main square in Tenerife.